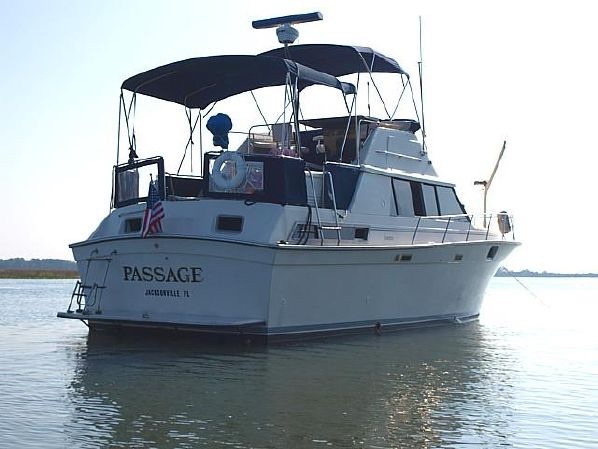 PASSAGE is a 1989 Silverton Aft cabin. We bought her in 2001 and brought her from Daytona to Jacksonville. What attracted us to was the space that was designed into this boat. She had a queen master cabin aft, a v-berth forward, a convertible dinette, and a sofa-bed. This meant that we had a private cabin and there were separate sleeping areas for each of our three children and any friends that they wanted to invite along. She also has twin 350hp Crusaders, cruised at around 15 knots, with WOT at around 21 knots. Our plans included trips to The Abacos and, since I was still working, we needed to be able to get there and back quickly. We spent most suitable weekends in South East Georgia and North East Florida. Anchoring off Cumberland Island, Fernandina, Fort George River, Matanzas, and visiting marinas in St Augustine, St Mary’s, and downtown Jacksonville. We anchored off both NAS JAX and Jacksonville Beach for the air shows. 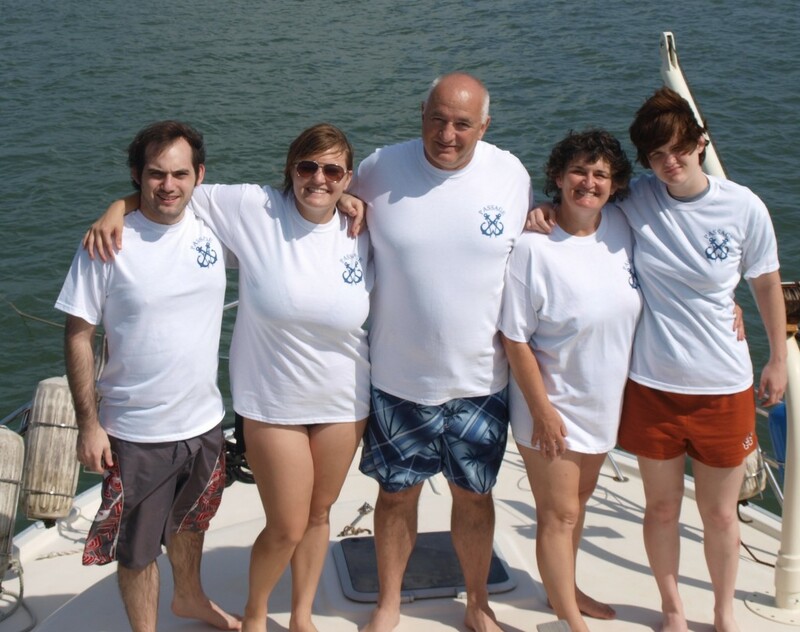 We created many family memories on board PASSAGE. we donated PASSAGE to the Safe Harbor Boys Home in October 2015 in readiness for our move to SONAS. Click here for a photo journey of our PASSAGE memories.